This quotation comes from Nikos Kazantzakis, from his novel The Last Temptation of Christ — and it reads: "Life on earth means: to eat bread and transform the bread into wings, to drink water and to transform the water into wings. 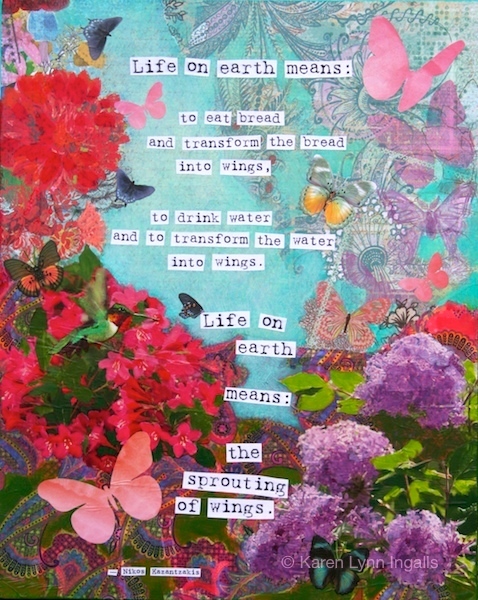 Life on earth means: the sprouting of wings." Another favorite quotation of mine from Nikos Kazantzakis, this reads "You have a brush. You have your color. 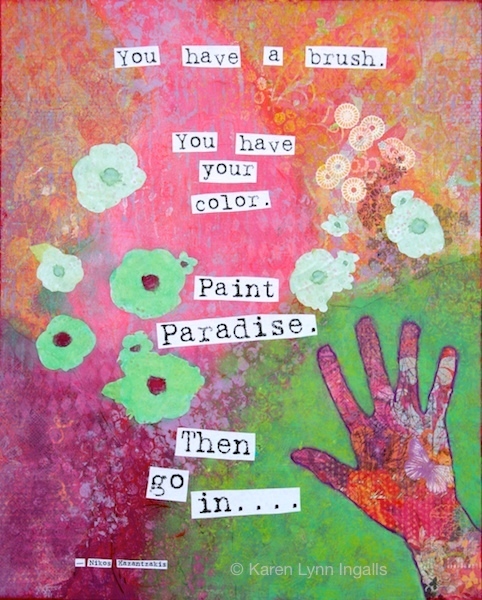 Paint Paradise. Then go in...."
From a quotation by painter Thomas Hart Benton: "You have to do the damn thing." From a quotation by Dolly Parton: "Find out who you are, and do it on purpose." From a quotation by Goethe, translated into English: "Whatever you would do, begin it. Boldness has courage, genius, and magic in it."